Is He Interested in Me? I Am in Him! 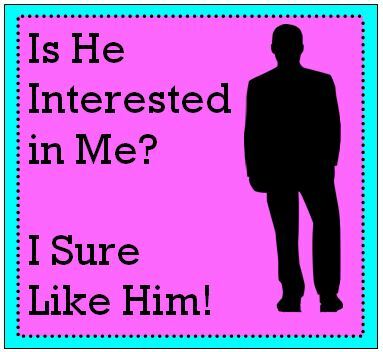 If you wonder, “Is he interested in me?’ about a man you see on a regular basis, he’s probably not. Here’s how I explain why this is true in almost every case. Does He Like Me? How Can I Tell? I worked in an Emergency Room and I met a police officer and when I actually got to speak with him I felt so comfortable and I told my co-worker that I love him and he is going to be my husband, I used to see him at my job every night but then I had an accident and I no longer work at the hospital. Then one day my car was stolen and I called the police. Guess who showed up at my house – the cop! You can imagine when I opened my door I was surprised and he smiled and shook my hand. I felt like it was eternity and never wanted it to end. All my feelings came rushing back. So now, what should I do? He did find my car for me. I didn’t see any rings on his finger but I feel afraid to ask him anything. I feel like he is a man of status. If a man truly was interested and wanted to ask you out – he would. Since he never did, you can assume that he found you attractive, but wasn’t willing to take the next step to date you. Men know what is needed to start dating a woman and build a relationship. So, if he’s NOT doing what it takes and asking you out, HE HAS A REASON. He might be in a relationship. He might not want a relationship. He might realize you are not the right woman for him. Frequently, women assume if a guy hasn’t asked them out, he must be shy, but that is so wrong! It is an interpretation that makes women feel better but that has nothing to do with being accurate. Even a shy man knows what to do and will take that risk. My husband was shy but his sister gave him my number and he called me within days. He was motivated to meet the right woman. Keep in mind that not wearing a ring doesn’t mean he’s single. My dad never wore a wedding ring for the 61 years he was married to my mom. When men flirt with you, stop by to chat, text often etc,. many women think this is the way a man shows his interest. And that would be true, if….if he does ask you out. But when he doesn’t, don’t bother wondering if he’s interested in you because he’s not. He may enjoy flirting, texting or talking with you, but that is not enough and he is NOT SERIOUS ABOUT YOU. 1) Be prepared for rejection. This is what men face every time they ask a woman for her number or ask her out. If you want to sit in the driver’s seat, you’ll be taking that risk. so be prepared. It’s not the end of the world but it could happen. 2) Never ask the same man out more than once. That is considered as “chasing men” and a woman who chases men never ends up happy. It doesn’t work and will leave you frustrated and heartbroken. On the off chance that he does say yes, and you do go out, leave the ball in his court to ask you out the next time. Otherwise you are back to chasing him. 3) Dating roles have not kept up with gender equality. Even though men and women are more equal than ever in the workplace, dating remains an archaic mating ritual based in biology. It’s part of a biological function to keep the human species alive. During the time of the caveman, men were hunters and protectors. With his hunter instincts, a man would approach a woman who he thought would be the best mate. On the other hand women were gatherers, foraging for food in between hunts and caring for children. These basic roles are still a part of dating today even though you wouldn’t think that was true. It is. So, it still works best to let the man ask you out. As the woman you are the gate keeper and actually hold all the power. You get to say “Yes” or “No” which is huge. You are in charge of who you date with that simple answer. You hold the power of feminine allure, attracting men to you. So don’t think for one minute men hold all the power. No way. However, we each have our own gender specific kind of power. 4) It’s time to meet new men. 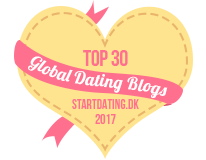 If you feel ready to date, then it’s time to start mingling and meet some new men! Since your desire was awakened as a result of seeing your cop again, take advantage of that! 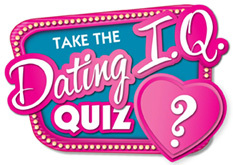 Get online, try the apps or go to a singles event. Increase your chances for finding love by putting yourself out there so the right man can find you! I hope you won’t spend another minute thinking about your police officer and asking “is he interested in me?” Doing that will be nothing more than pure fantasy and a waste of your precious time. Time flies whether you are having fun or not so my best dating advice is to get active in your search for love and meet plenty of men to find the right one for you. Does He Like Me and Can I Ask Him?